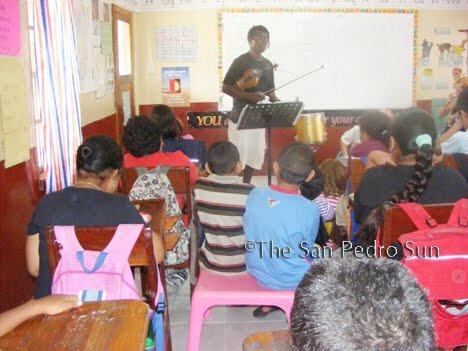 On Friday May 28th, students from the Isla Bonita Primary school were honored with musical presentations by Dr. Floyd Jackson of San Pedro’s Free Music School and musicians Tull and Brandy, of “Love Paradigm”. 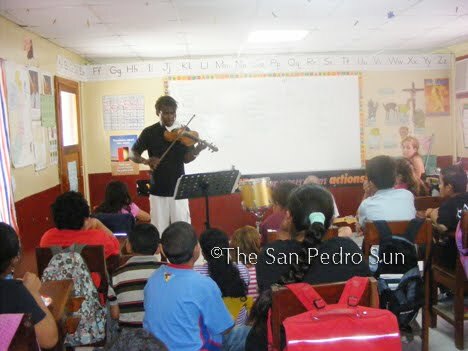 Dr. Jackson strives to promote music appreciation to students of all ages. Apart from running San Pedro’s only Free Music School, Dr. Jackson takes time out of his schedule to bring music into the classrooms across the Island. 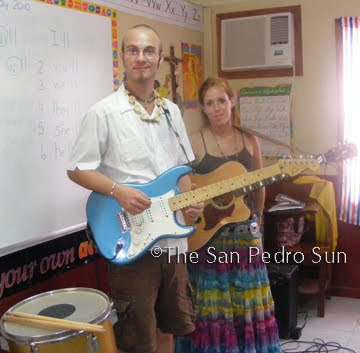 During this presentation, he was joined by Tull – an accomplished musician, and Brandy – a songstress and accomplished guitar player. The two are contracted exclusively with Fido’s. Dr. Jackson introduced the children to classical music, while the duo fed the children’s imaginations and excitement with music from the Rock genre. All presenters were received by the children with standing ovations. Dr. Jackson hopes that this exposure will serve to spark an interest in music within the minds of the recipients of the presentations.